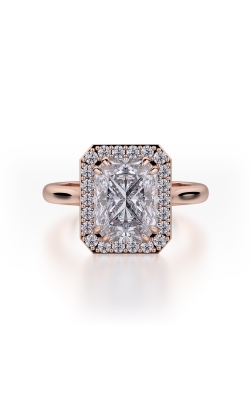 For couples interested in celebrating their love with a distinct look, radiant cut engagement rings are a wonderful alternative to some of the more common cuts. Not to be confused with the princess cut, the radiant cut has unique features including cut corners around an almost rectangular shape. 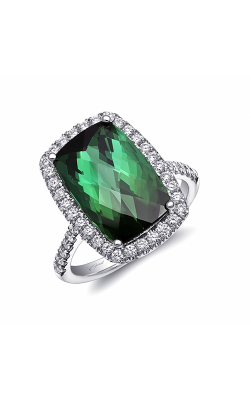 Versatile and brilliant, radiant cut rings offer endless opportunity for design. 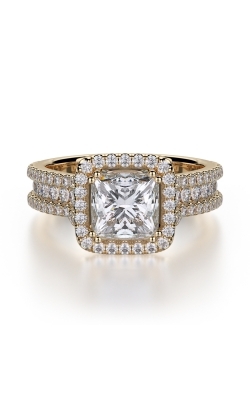 Contemporary designers have pushed the envelope with embellishments, adornments, and design variations including radiant cut rings with split shanks, halos, and pave settings. The engagement rings available at fine jewelry retailers such as BARONS include many of today's most popular styles and settings, perfect for any bride-to-be. Available today at BARONS Jewelers is a fine selection of designer radiant cut engagement rings. As an authorized retailer for today's leading bridal designers including Michael M. and Tacori, BARONS is proud to present an array of dazzling and trend-setting radiant shaped diamond rings. From our extensive A. Jaffe collection, discover the brilliance of radiant cut rings from the Art Deco collection and shop other engagement ring shapes from the Metropolitan, Classics, Seasons of Love, and Quilted Collections. Also available in our Dublin, California showroom, are radiant cut stunners from the innovators at Michael M. Check out Michael M.'s glamorous Princess collection, a selection of vintage inspired, luxurious, radiant shaped engagement rings. In addition to the unique radiant cut look, Michael M.'s bold styles are adorned from top to bottom in diamonds set in 18-karat rose, white, and yellow gold. With over 50 years in the business, BARONS Jewelers remains one of the most trusted full-service jewelers in the San Francisco Bay Area. For top quality engagement rings, wedding bands, watches, and fashion jewelry including necklaces, bracelets, earrings, and fashion rings, BARONS Jewelers is one of California's premier jewelry stores. BARONS maintains close relationships with today's top jewelry and watch designers including Simon G, Mark Schneider , Triton, Raymond Weil, Carl F. Bucherer, and many others in order to provide our customers with the very best selection of jewelry and watches. In addition, BARONS has the distinction of being the West Coast's only Tacori Diamond Partner and continually offers our Dublin, California friends and neighbors with one of the largest inventories of Tacori jewelry. Servicing the Bay Area with "A Legacy of Elegance," Barons Jewelers offers convenient financing plans, on-site goldsmiths, a watchmaker, and other specialty services.